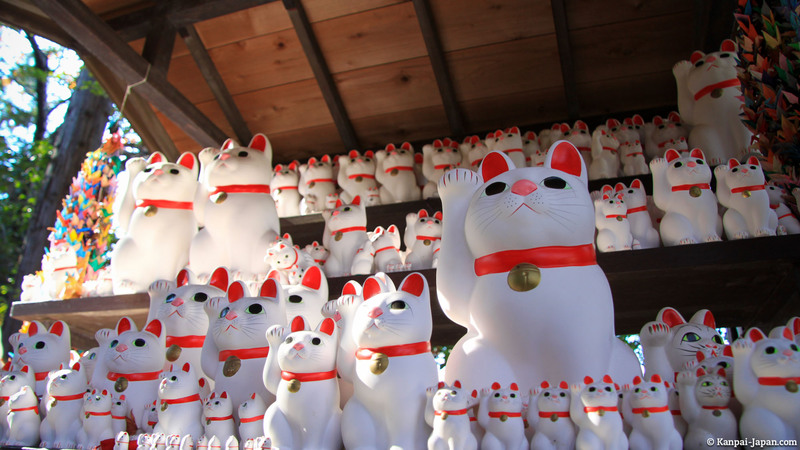 The Maneki-neko, literally meaning "welcoming cat", is a traditional statue of a sitting cat, with its right or left (or both) paw raised up to the ear. 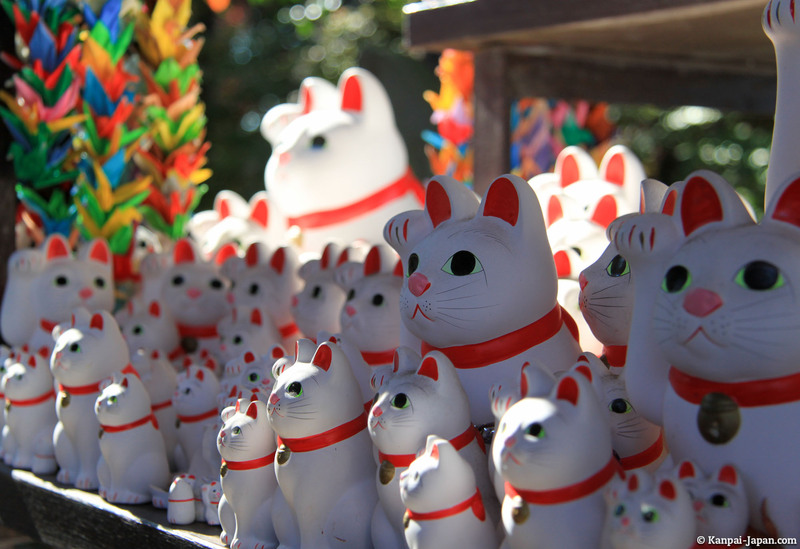 Considered a lucky charm cat, it is very frequent to see it in Japan, where it is celebrated on September 29th. 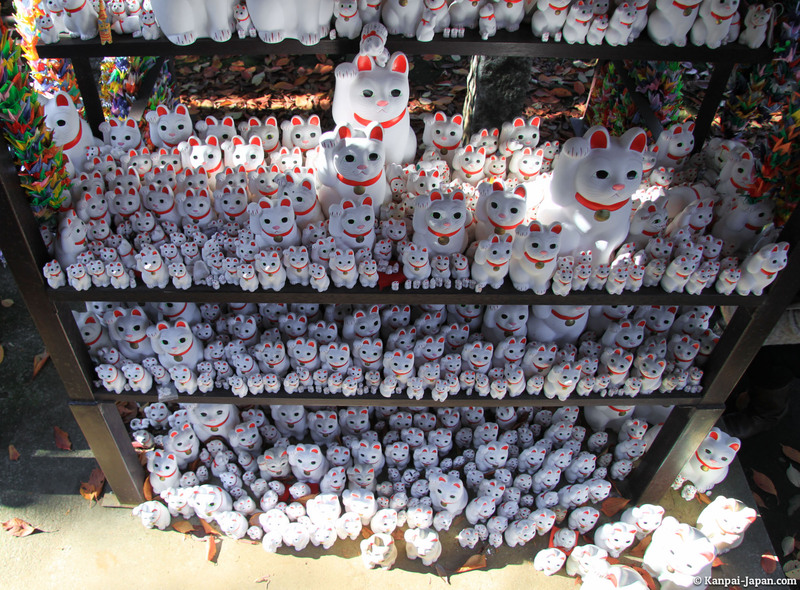 by dozens and with uncountable forms in souvenir shops of all kinds. pink or red, it strengthens relationships and love. 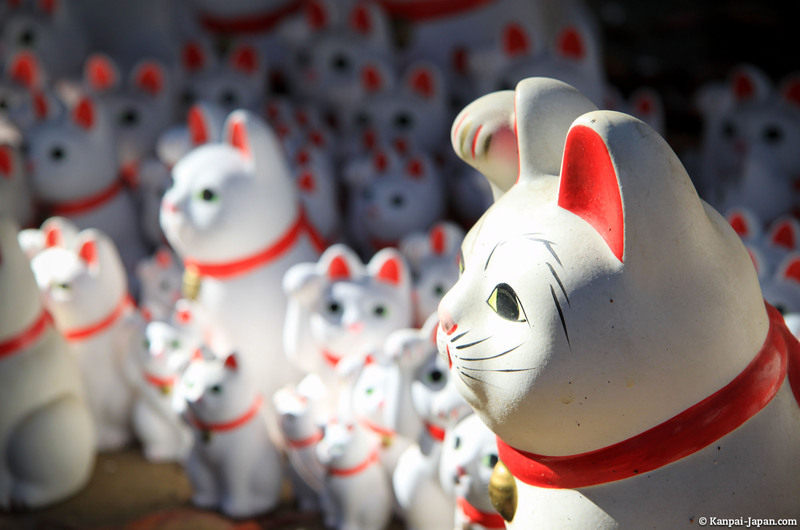 The origin of this "happiness cat" (a bobtail Japanese cat breed) is not so easy to track. Estimated during Edo era, between 1603 and 1868, several legends tell that he had protected pedestrians from thunder lightning by warning them to deviate from their initial path. The Japanese proverb "if you are in a hurry, do a detour" might come from this story. 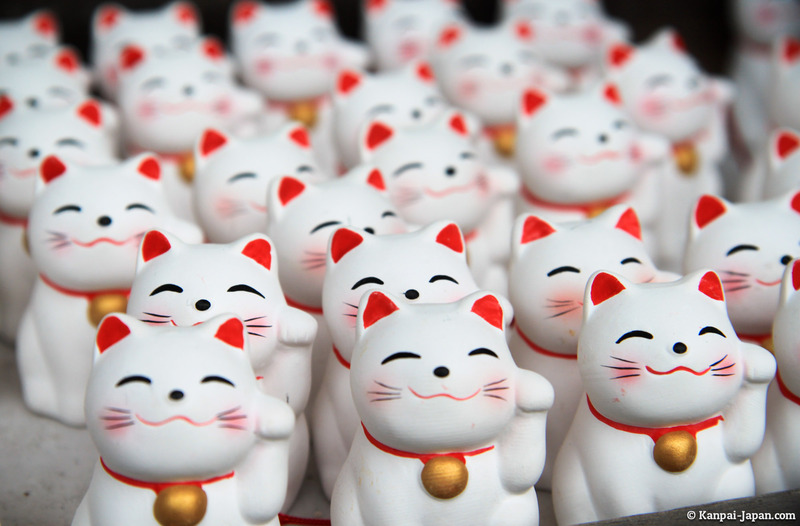 Originally from Japan, Maneki-neko widely crossed the archipelago’s borders to conquer the continent, which explains why it can be found mostly in Asian restaurants in Western world. while the two paws together protect the home or business place. The higher the paw is held on, the more powerful its effects will be. Representations show Maneki-Neko ornamented with diverse accessories, starting by its unavoidable red necklace with a bell and its golden ryo coin (former money) on its belly. More recently, it is being said that Kitty-chan (the Japanese name of Hello Kitty) would come from the lucky cat. 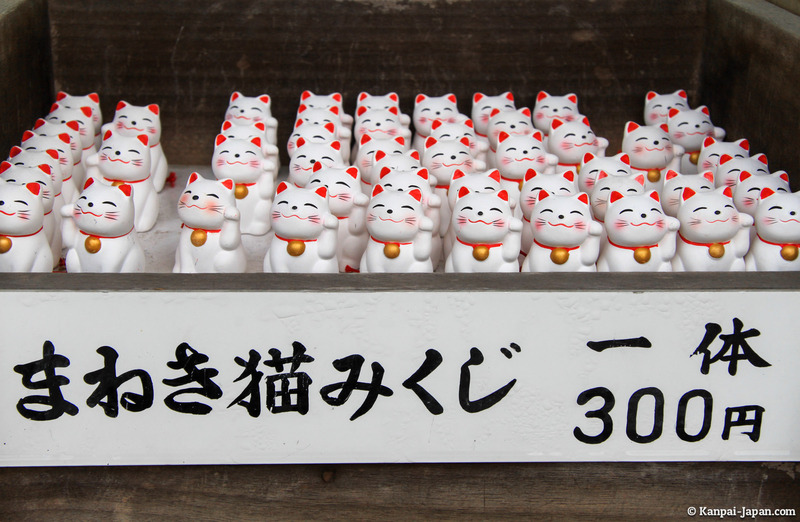 Japanese people are so attached to it that Maneki-neko even has its dedicated day (not a public holiday though): September 29th of each year. Japanese cakes: kawaii and yummy!